The Daesh terrorist group has abducted as many as 130 families in Syria’s eastern Dayr al-Zawr Province in its latest atrocities in the Arab country, a UK-based monitoring group says. 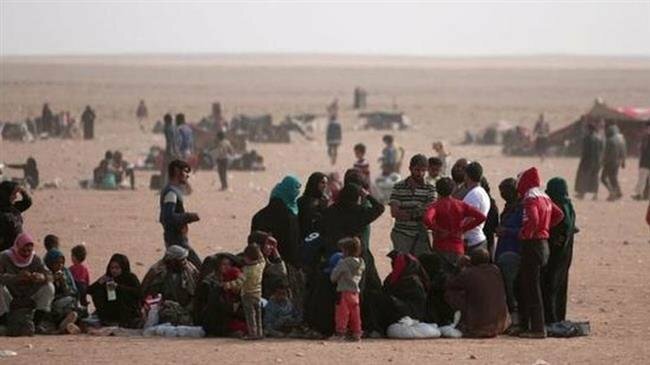 The so-called Syrian Observatory for Human Rights (SOHR) said the Syrian families were kidnapped from a displacement shelter in Dayr al-Zawr’s eastern countryside. It also reported intense fighting between Daesh militants and the so-called Syrian Democratic Forces (SDF), a US-backed coalition of mainly Kurdish militants, on the eastern side of Euphrates. Daesh regularly abducts civilians to use them as human shields or bombers in the face of advances by Syrian army soldiers and allied fighters on the battlefield. Recent reports say the Daesh-held Syrian territory has shrunk to only one percent from almost half of the country a few years ago.